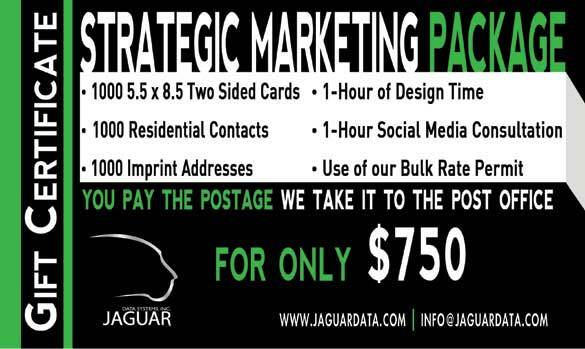 Jaguar Data Systems, Inc. is a leading business partner in strategic marketing and direct mail services. Utilizing a Total Market Integration approach we offer a complete range of marketing services based on the foundation of in-depth market analysis and hard metric results. Click the image above to take advantage of Jaguar Data Systems' current special.